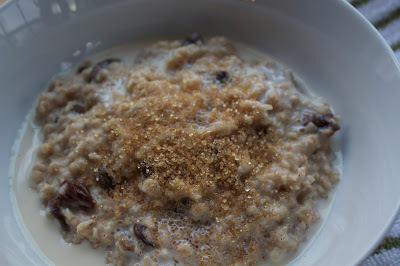 You might be wondering why I’m posting a recipe for something as simple and basic as oatmeal. 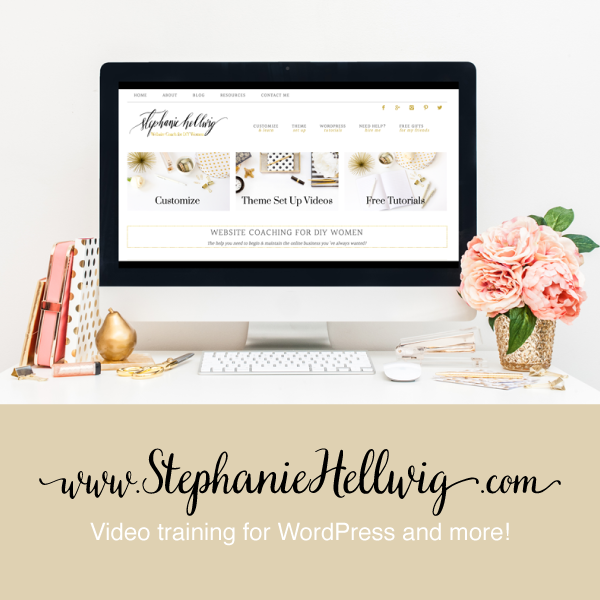 Well, remember…In my last post, I was lamenting the fact that I need to make sure that I’ve taught Alyson EVERYTHING before she goes out into “the real world”. The real world will start with breakfast too! 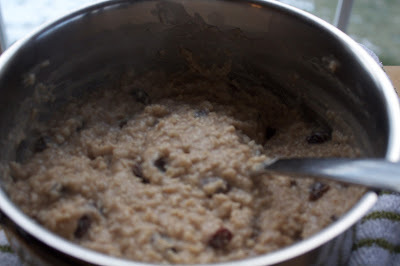 After adding oat, raisins, and cinnamon to boiling liquid mixture, cook and stir until it’s thickened. After cooking, divide oatmeal among serving bowl and drizzle with PetMilk. Although the directions for “quick” oats indicate cooking time of 1 minute, my recipe cooks the oatmeal for 4-5 minutes. 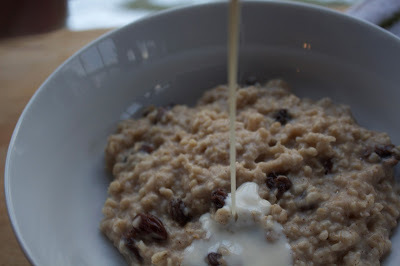 Adding the raisins along with the oats, allows them to plump up by absorbing some of the liquid. Don’t like raisins? Don’t use them. 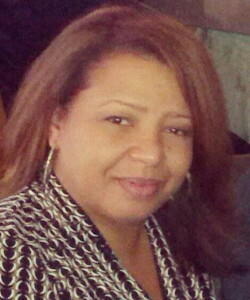 Sometimes we use fruit preserves, jam, or jelly instead of sugar. My husband’s favorite is apple butter and toasted almonds. In a saucepan, heat water, milk, and butter on medium-high heat until boiling. 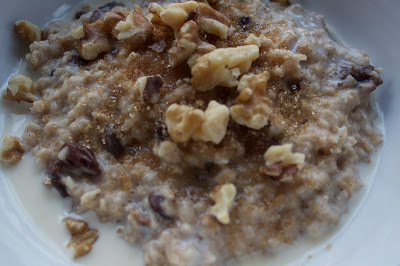 Stir in oats, raisins, and cinnamon. When mixture returns to a boil, reduce heat to low. Stir and cook for 4-5 minutes, until mixture is thickened and any visible liquid has evaporated. Remove from heat. To serve, divide oatmeal into serving bowls, top each with a drizzle of PetMilk, 1 teaspoon of sugar, and 1 tablespoon chopped walnuts. OMG! My sister & I were talking about oatmeal the other day. This makes me want to eat oatmeal, I haven’t eaten oatmeal in years. My sister on the other hand loves to eat it. I do believe I’ll try this recipe out looks YUMMERS!!! I am a recent convert to oatmeal. The best bowl I have ever eaten was in Ireland last summer but I can make a pretty mean version myself with a little heavy cream and some local honey. Yum!